This zipped pouch magically opens up to a box shape so you can easily see inside. 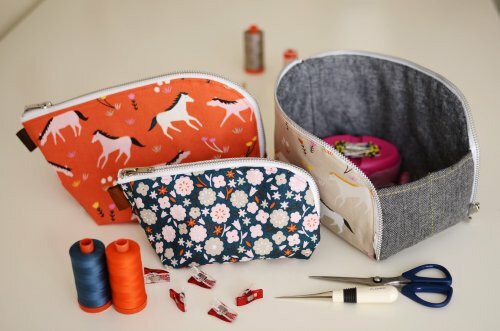 Perfect for tools to bring to class or cosmetics when travelling. The needle case stores sewing and machine needles safely.